As healthcare continues to combat patient identification issues, biometric technology is poised to gain greater traction at hospitals and other health-related organizations seeking to prevent medical errors, combat fraud and identity theft, improve their patient matching abilities, and safeguard their reputations. Once viewed as a surreptitious technology primarily used by government agencies and law enforcement, biometric solutions such as fingerprint, iris, palm vein and facial recognition are increasingly being introduced at hospitals across the nation. According to Gartner, 40 percent of all healthcare providers will use some form of identity biometrics to improve patient identification by 2022. Research at the ECRI Institute paints a grim picture of how deeply troubling and harmful patient identification errors can be. In examining 7,613 cases of wrong-patient errors at 181 organizations, incidents included an individual in cardiac arrest that was not resuscitated because the care team mistakenly obeyed the wrong patient’s do-not-resuscitate order and an infant given milk from the wrong mother who was infected with hepatitis. These issues are driving health IT executives to pursue use of biometrics technology at registration to add another layer of protection of patient identity integrity. Palm, iris and facial recognition capabilities help to identify patients when they turn up for an appointment. When used in combination with an enterprise master patient index (EMPI), organizations can link the entire set of an individual’s demographics with a biometric characteristic of the patient. Leveraging an EMPI along with biometric applications can empower organizations to drive data security into the patient matching and verification systems across its IT infrastructure and affiliated care partners. Biometric technology holds great promise and potential to identify patients, however it does little to resolve duplicate records and there remains significant challenges in moving to a biometrics-based patient-matching approach. While biometrics can provide superior levels of accuracy, security and convenience, it is important to understand the extent to which the technology is applicable in healthcare. While the accuracy of biometric solutions has improved, the architecture of most biometric tools is unable to scale at an enterprise level since it can only manage a subset of patients. In order to connect all of the points of registration across the enterprise, biometric systems must be able to determine the local identifiers in each of the systems within the delivery network, including aligned hospitals, medical groups, outpatient clinics, and affiliated post-acute facilities. Use of biometrics in healthcare also faces large-scale deployment challenges given some solutions, including palm vein and iris scanners, require highly specialized, stand-alone hardware. Additionally, user anxiety associated with invasive sensors are common, since palm, fingerprint and iris scanners require patients to touch or interact with the hardware, evoking hygiene concerns or even fear of physical harm. 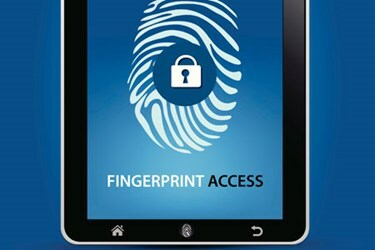 Patient acceptance of biometric solutions appears to be growing. A recent report by Pew Charitable Trusts found that patients "overwhelmingly supported the use of biometrics,” with more than 70 percent citing the technology as the top choice for a unique identifier. Despite patient popularity, however, healthcare executives in the report voiced concerns. Many forecasted patient resistance and fear, as well as reluctance to seek care at facilities that use biometrics, particularly for the country’s undocumented patient population. Biometrics comes with many technological demands. Storing images, palm scans, and fingerprints of millions of patients and personnel demands storage technology, as well as a health IT infrastructure that is scalable, flexible and highly-secure. To find a cost-effective way to implement biometrics technology, many healthcare systems have turned to third parties that offer cloud computing in order to avoid the need to purchase additional infrastructure or hire skilled resources to manage biometric applications across the enterprise. Furthermore, cloud companies like Amazon Web Services (AWS) have added biometrics technology to their platforms. Incorporating biometrics in mobile devices is also on the rise with Apple adding biometric authentication tools into their smartphones. The prospect of using artificial intelligence along with biometrics to raise the level of security in healthcare workflows is another opportunity health IT executives should consider. As healthcare IT decision makers think about investing in biometrics, they should consider patient identification use cases that will yield a quick return on investment. Doing so requires creating implementation plans that involve testing and evaluating the effectiveness of biometrics solutions at key points where patient identification matters the most. This includes incorporating biometrics in registration systems, at the point of charging patients for medical care, and during the process of identifying patients before tests are conducted and specimens are collected and labeled. While biometrics will eventually become more mainstream for managing patient identification, it will still require organizations to invest heavily in integration and demographic matching platforms. Incorporating the right biometrics technology into healthcare operations will take time, but the prospect of tis additional tool to improve safety and security is a job IT decision makers should recognize is worth the time and the effort. 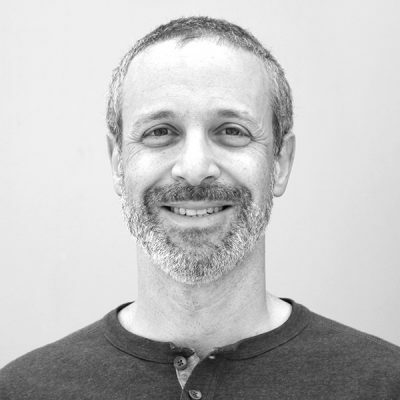 Daniel Cidon is Chief Technology Officer and cofounder of NextGate, a global leader in healthcare identity management.